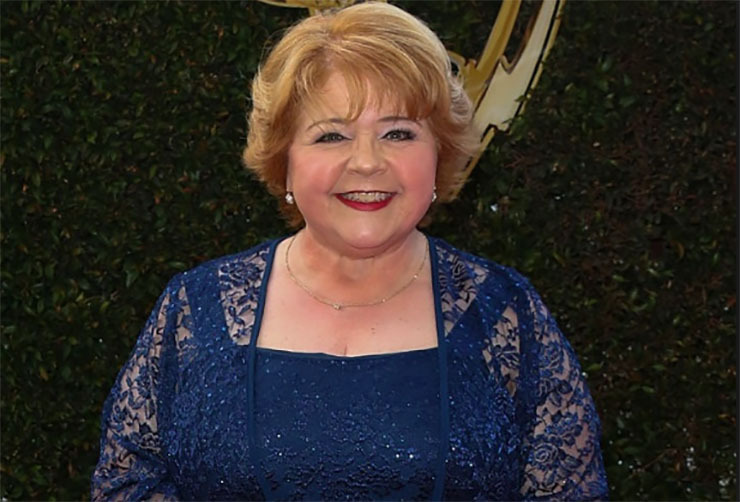 We at Soap Cities are fangirls extraordinaire of Patrika Darbo, seasoned actress and soap vet. Here’s why. This thespian virtuoso is in a class of actors reserved for only the finest. She has this presence, this ineffable sparkle. We can’t imagine her doing anything but acting, and if she weren’t acting, the world of performing arts would be the worse for it. On Days of Our Lives, her dramatic talents are on display as the perpetually (and understandably) worried, protective mom of Chloe Lane. Every line Darbo delivers as Nancy Wesley contains such depth and nuance, it’s honestly mesmerizing to watch even the “simplest” scene with her. Her comedic talents are, in a word, magical. Did any of you Soap Cities readers see an episode of Roseanne (another of our favorites here) on which Darbo guest-starred? If you haven’t, you must! She plays a frumpy retail worker who turns into a hilarious seductress who won’t take no for an answer in a recurring dream Dan has. It’s beyond genius. But of course, these days it’s her work on Bold and the Beautiful (B&B) that has us in heaven when her characteristic red (these days more strawberry blond) locks appear on our screen. What’s amazing about her is how beautifully she becomes the roles she plays, like Shirley Spectra on B&B. There is nothing forced or canned about her acting. Each line, each gesture, evolves organically from the previous one. Yet they’re always artfully delivered, and you just know she puts so much thought and care into each one. Comedy is no cake-walk. It’s a challenge to be funny in a way that isn’t ham-handed or that falls flat. This is especially true of soap comedy, which stands in contrast to the intense drama normally on display in daytime. Again, Darbo does funny in a way that is so unusually awesome. It’s subtle, almost quiet. When her dazzling energy appears on-screen on B&B–decked out in garish duds, big hair and statement jewelry–you’re immediately taken aback by the fabulousness. Then she speaks, and we can’t help but smile. It’s not the type of amusement where we’re laughing at what’s happening to Shirley, and we’re not laughing with her even. We’re truly laughing because of her. We can’t wait to see the wild antics Shirley will be involved in as a Spectra clan member, and how Darbo will work her magic in them.